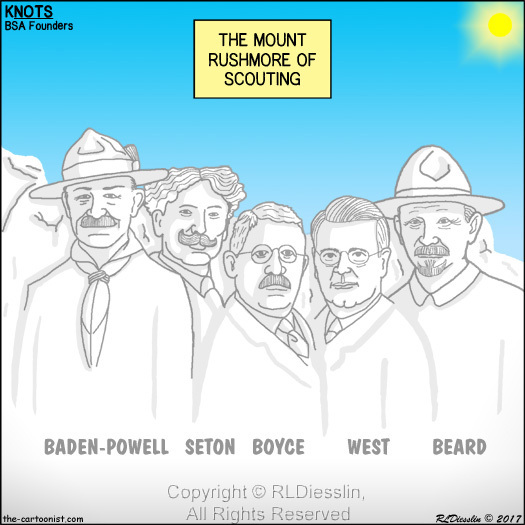 Note: this cartoon was commissioned in 2015 by Tecumseh Council for a Friends of Scouting Council Strip Patch (CSP) based on a concept by Jim Nolan, the Scout Executive at the time. It finally occurred to me that this should be a KNOTS cartoons as well - duh! I developed all of the caricatures based on photographs I could find of the founders. FYI!